In 1876 Mr Alexander H Greenshields built this house at a cost of £4000. He named it Lanark House – no doubt after his birth place, Lanark, Scotland. Greenshields had come to Kapunda in 1864 as an assistant in the general store owned by Messrs Stobie and Thomson. Eventually, he set up his own large and profitable drapery business in Main Street. He died in 1897. Part of his obituary gives us a picture of his prominence and influence. In fact, he was a member of the Floricultural Society, Baptist Church, Dutton Park Committee of Management, Institute Committee, Municipal Council, Brass Band and Defence Rifle Club. However, his main interest was probably the development of the grounds and conservatories of Lanark House, which occupied nearly four acres. A detailed report in a Kapunda Herald of 1886 describes the conservatories, fern houses, shade houses, lawns and trees. The conservatories alone contained 5,000 pot plants. 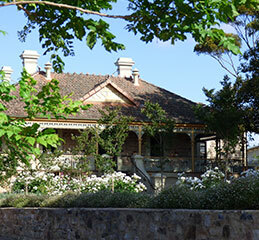 Sidney Kidman seems to have bought the house in about 1900 and re-named it Eringa. He used it as his home base until he donated it to the Education Department in 1921. He was born at Athelstone in 1857 on his parents’ farm. He arrived at Kapunda with his famed one-eyed horse when only a lad of thirteen, having run away from home. His first night in Kapunda was spent at the Prince of Wales Hotel and he journeyed on the next day to make his fortune in the vast and barren lands to the north. Aided by a legacy of about £400 from his grandfather, Kidman eventually built up a land and stock empire that saw him either owning or leasing over one hundred cattle and sheep stations. The total area of the stations was in excess of 100,000 square miles, an area greater than that of the State of Victoria. Kidman’s annual horse sales at Kapunda attracted much attention. The Kapunda Herald Illustrated Supplement of September 2, 1904 recorded that “Australia’s record horse sale conducted on account of one owner” had opened at Kapunda. Messrs Coles and Thomas had submitted the first of the batch of 1,300 horses on account of Mr Sidney Kidman, of Kapunda. Mr CJ Coles wielded the hammer. 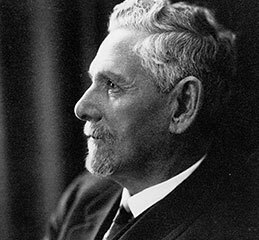 Sir Sidney died in Adelaide in 1935. Kapunda High School has existed since 1907 as an additional section of the Primary School with its own teaching staff. 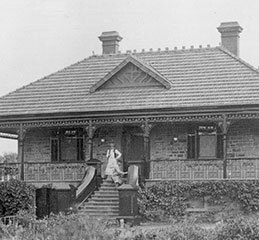 The transfer to the new building was completed when Sidney Kidman officially opened the new premises on 12 October 1922. The rooms in the building have served many purposes over the years. They have existed as classrooms when the school was much smaller, a library until 2010 and increasingly the centre of school administration. Instrumental music lessons still occur in the basement. In 2011/12, the building underwent a major refurbishment funded by the South Australian Government. As a heritage listed building, changes made to improve the functionality of the space needed to be carefully balanced with preserving and enhancing its historic value. The original function of many rooms can still be detected. The white tiles of Lady Kidman’s bathroom still dominate the current ICT office and the tessellated tiles, revealed through the refurbishment project, provide further insight into a time past. Elsewhere, the commanding fireplaces, ceilings, stained glass, cast iron lace and marble steps remain as lasting monuments to the times of Greenshields and Kidman. ‘For there is no school in South Australia like Kapunda High School. In every way it is unique.’ Colin Thiele. Colin (1920-2006) attended Kapunda High School 1935-36. He is one of Australia’s most prolific and distinguished writers.